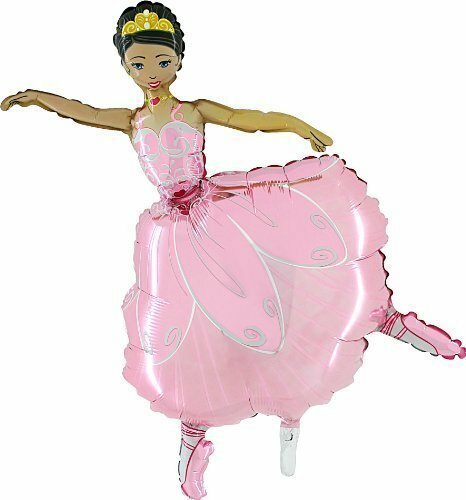 42 inch pink ballerina girl foil balloon (cs66) this foil balloon has an automatic sealing valve. It can be filled with air so it can be fixed to the wall or can be filled with helium so that it floats. This balloon will come flat and not inflated with either air or helium, you must inflate this balloon yourself. This balloon measures 29 inches in height. This balloon is an ideal gift to any young girl. Great for parties!! Great for decorating your little ballerina's party or dance recital! 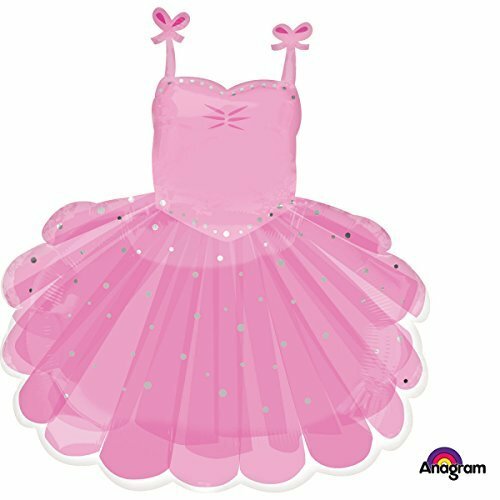 Comes with 1 - 28 x 23 inch Pink Ballerina Tutu Balloon AND 2 - 18 inch Foil Tutu Ballerina Balloons. Each balloon is double sided; arrives to you uninflated. Use to decorate the party or give as a special gift! Doll up the décor at any ballet party in pretty pastel charm with these Latex Tutu Ballerina Balloons. 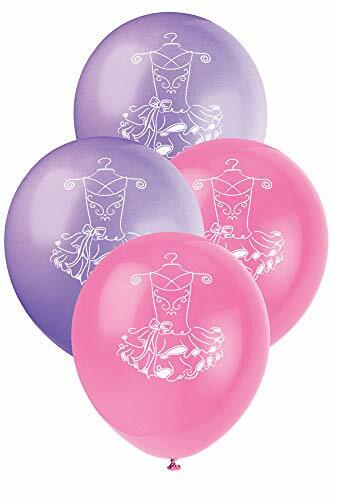 In shades of delicate pink and purple with an elegant tutu design, these latex balloons are fabulous for a girl's dance birthday party, ballerina party, or a tutu baby shower. 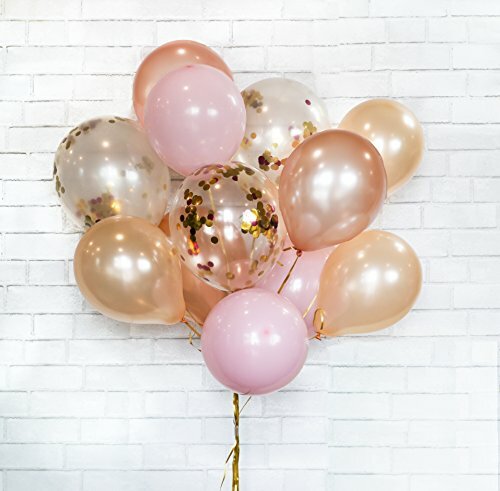 Tie them individually throughout the party space for cute pops of color, arrange them on a wall as part of a festive party backdrop, or combine them with foil balloons and curling ribbon for a dazzling balloon bouquet. 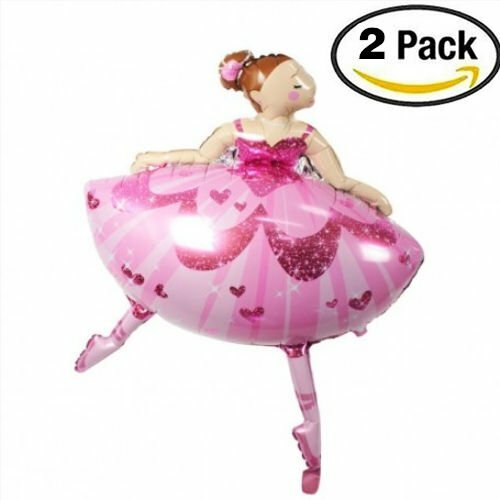 Anagram Dancing Ballerina Shaped Mylar Balloon 35"
35" Packaged Pink Sparkle Ballerina supershape XtraLife foil balloon. 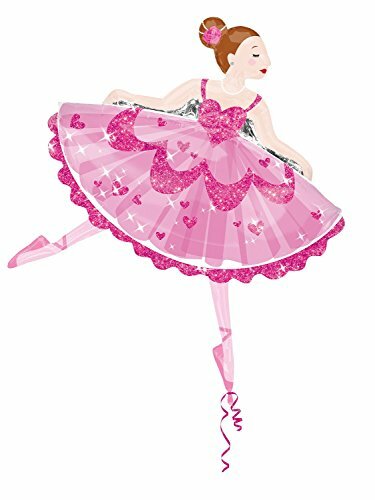 Your little dancer will dance around with delight when she sees our twinkle toes mylar balloons! 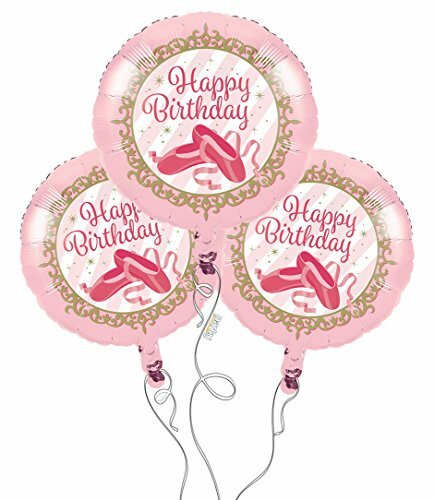 Balloons feature pink ballet shoes with an elegant border & say: "Happy Birthday". Arrives to you uninflated - Comes in a pack of 3! Create an elegant ballet themed balloon bouquet or give as a gift!